The world of SEO is very large and that causes that there is only one type of SEO. 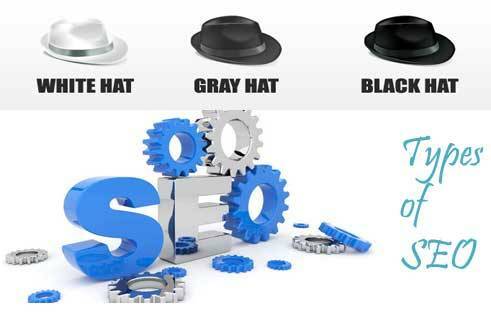 In fact, up to 3 different types of SEO are recognized today: Black Hat SEO, Gray Hat SEO and White Hat SEO. What does this concept mean? What is the difference between them? What are the advantages and disadvantages of each? Right now we explain it. Never exchange or buy links. They believe that content is the King and live by and for it. Not to be at risk and hope that Google will reward the good work in the contents. The advantage of this type of SEO is that you should not worry about Google because it never penalized. However, the disadvantage is that these projects work in very long term, go slowly and may never reach position not to risk a little. These are the most abundant SEOs that can be found on the Internet. It is the average SEO, which risk, but not end to “break” the laws of Google for not piss him off. Exchange links and seek how to get new links artificially from competitors and other sites. Control the rankings both yours and their competitors to know where they are and to whom they have to overcome. Use tools like SEMRush, Ahrefs or Majestic SEO to improve the positioning of website. Fear slightly to Google because they know that if neglected a little they can “discover” them. The advantage of this type of SEO is that these are at the midpoint, where Google does not usually reach them, but where these are able to grow medium-term projects. However, again must have patience and know that projects should be pampered and cared for during the time for it to work. Black Hat SEOs are the most “feared” by Google. Increasingly these are most common and, although these tend not to perform these techniques working with companies, which use them to generate profit through short-term projects. Generate links totally artificial way, they buy links and use software such as Scrapebox or GSA to create hundreds of fake pages that link to their projects. Constantly studying everything that makes the competition and try to get the keywords that more generated money. They work short-term projects and create projects that live and die in a short space of time, but they are extremely lucrative. They work for themselves and do not offer services such as White Hat or Gray Hat. The obvious advantage of this type of SEO is that it is able to fool Google how they want and when they want to. They also tend to have knowledge of White Hat and Gray Hat, so they are able to get any hat. The disadvantage is that they do not generate long-term benefit and rely on 100% that Google does not “find them”. If someday they fail to find the trap to the search engine, they must be patient and take another SEO hats.